Don’t forget that Sledgehammer Games was initially comprised of former Visceral Games members. Those guys made Dead Space, a title that had a ‘sort-of’ open environment on board the USG Ishimura. That derelict ship had so much character and tension; a real sense of place. Now, if Sledgehammer could give us a sandbox setting we actually gave a toss about instead of ‘rusted facility A’ or ‘muddy field B’ then that’s already something worth shouting about. Although I feel Ghosts is a weak game, I actually liked the post-apocalyptic vibe of the campaign. It was something new for the series, and I think that Sledgehammer could have the chops to give us a well-paced, distinct and interesting place to visit, explore and raise all sorts of hell in. 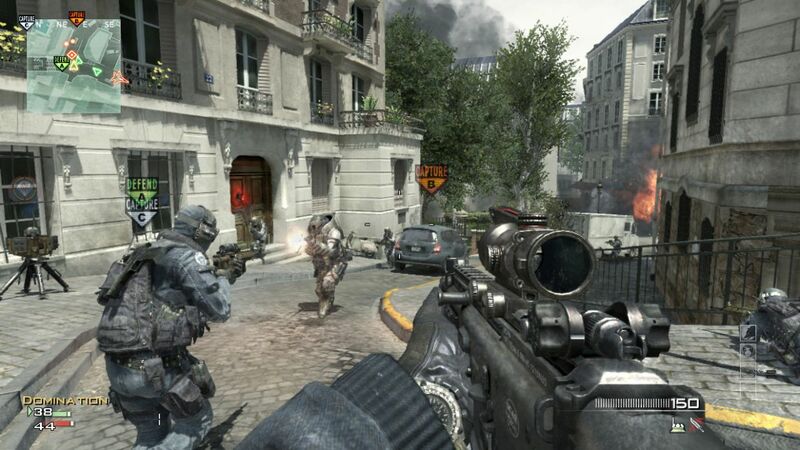 Could it have done all of this in just three years, as per Activision’s new Call of Duty rotation? I’m not so sure to be honest, but the optimist in me says that Call of Duty 2014’s campaign won’t just consist of another stock plot with the same old set-pieces we’ve seen a hundred times before. Dead Space also had an inventory system that I think would play out well in a Call of Duty environment. Say, for example, you collected some broken gun parts or new gear out in the field. You could then hop a truck or chopper to a safe zone to craft a new gun, attachment or device using the parts. What if classes entered into the campaign, and certain player-types could only wield specific weapons – engineers that use shotguns and stubby SMGs for example. What if only those players had the power to repair broken vehicles? Put it this way; I miss the Battlefield: Bad Company series. I think it shits on DICE’s last two entries from a great height. It had humour, carnage, big environments, a co-op campaign, defined classes in the story mode and more. I want Sledgehammer to rip that off because let’s face it, we’re probably not getting Bad Company 3 any time soon. That leaves a gap, a rare chance for the team to look at the competition and satisfy that appetite. Last time I checked, I’m not the only one who wants that third game to happen. Add in Call of Duty’s penchant for bonkers action scenes and you’ve got a potential winner. But what about multiplayer? 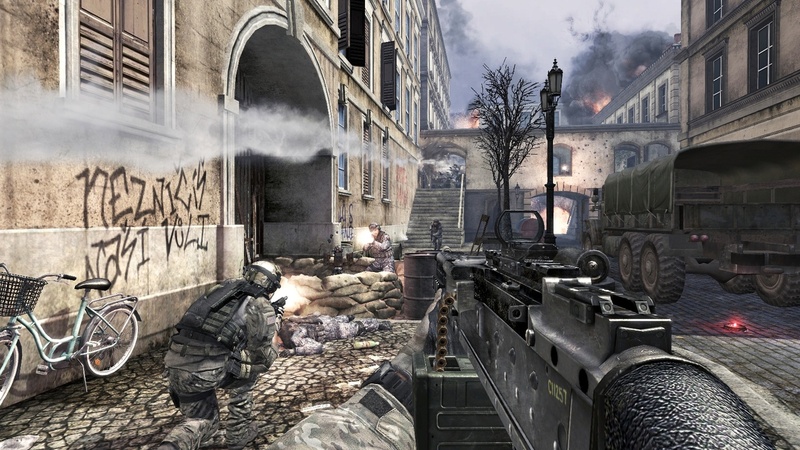 It’s hard to say just how much of an influence Sledgehammer Games had on Modern Warfare 3’s online component, but I actually enjoyed a few changes brought to the table by the collective of developers responsible, despite the mode’s bland map design and other weak elements. Strike Packages were the big draw for me, a player who – while able to get a lot of kills per game – has always had trouble attaining a significant, consecutive killstreak. The Support package meant people like me were no longer left behind without reward, and that was furthered when Treyarch ditched killstreaks altogether in Black Ops 2. With that in mind I really hope Sledgehammer keeps to the Scorestreak format that game delivered, because not only did it ensure everyone got some form of reward for kills, captures, assists, defending and so on, it got people working together better as a team, instead of lone-wolfing just to get their K/D up like selfish bastards. People say Call of Duty isn’t a team game. They’re dead, dead wrong. Play as a team in any of these titles and keep talking to each other over party chat and you’ll likely dominate the majority of matches. I get there are less team-focused mechanics at play, but to say these shooters can’t be played as a team is just foolish. Sledgehammer should absolutely dispel this myth and place emphasis on score rather than kills, as well as bringing team-focused rewards to the table, such as Ghosts’ Ammo Crate reward that gave your allies a bullet refill and the chance to re-roll their weapon. Players should absolutely have more health as well. I’m all for playing tough shooters, but the sliver of health you have in Ghosts is a joke. What it boils down to is, ‘you get spotted, you’re dead’ in many situations. There’s little room to reply when an opponent wings you because your corpse is already cold on the ground by the time you’ve realised what happened. Infinity Ward must have known this too, as it released a Heavy Duty playlist that gave players more health, then swiftly took it away again. Annoying. But still, I have so much fun when I get clipped by an enemy shot – putting me into high-tension mode – then go prone to recover or enter a game of cat-and-mouse with the shooter. I find that brand of action-response gameplay quite thrilling, but in Ghosts I’m just dead in seconds. It’s not really the same. 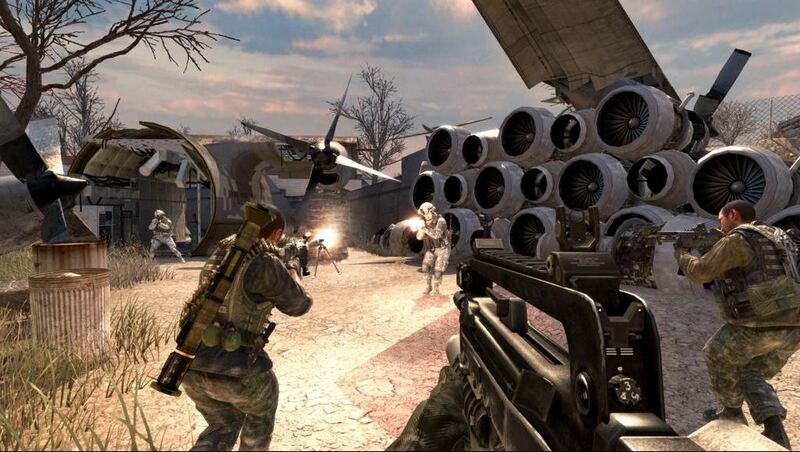 Sledgehammer should also pare back the overpowered perks, reintroduce flying UAVs again, and give players a greater say in their avatar’s customisation. Speaking of which, who at Infinity Ward decided to ditch Treyarch’s emblem creator? Sure, it resulted in unfortunate Swastikas and pictures of people being penetrated by… things, but that’s a moderator concern. Shooters are at their best when they allow us space to be expressive, so anything that impedes on that should be binned. Expression also go hand-in-hand with destruction, so I’d also like to see properly dynamic decay in maps, instead of the fake ‘dynamic’ elements in Ghosts that were actually 100% scripted. Give us pure carnage, make it balanced, keep it fair and put the players first with regular updates and discussions with the community. Treyarch still updates Black Ops 2 and recently added a new playlist to the PC version. That game will be two years old come November. If Sledgehammer really wants to stake its claim as Call of Duty’s new darling, it needs to engage with its players on new levels, while bringing us new innovations that make us reappraise what the franchise stands for. The questions is, will Activision give it the space to do so? We’ll find out at some point this year.